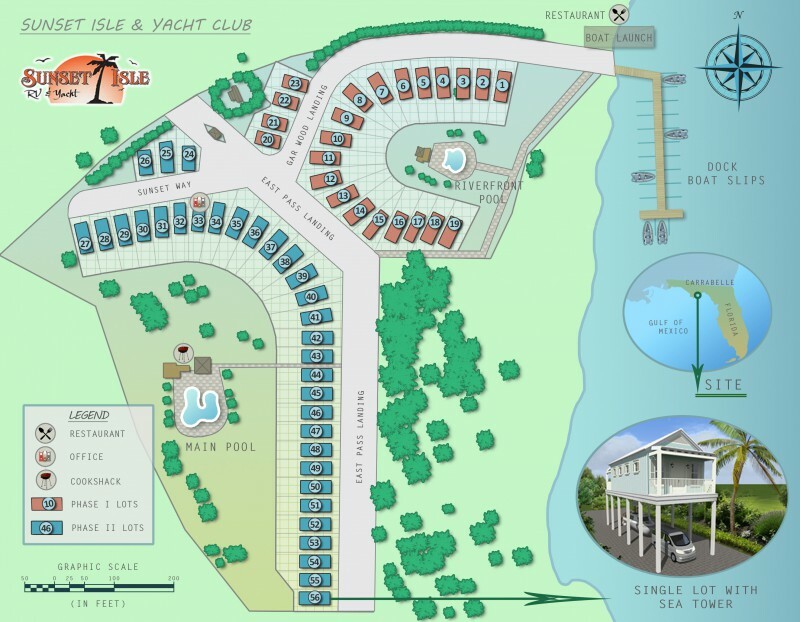 Sunset Isle RV & Yacht Club Resort is located on Timber Island, in the heart of Carrabelle on Florida's Forgotten Coast and features the following amenities. 2,300 sq ft zero entry Bay front pool with sun decks. 360 foot long all trex deck fishing pier with individual boat slips and boat launch. Nearby bait and tackle shops, and local charter fishing guide references available. Featuring a full kitchen for cooking the catch of the day!